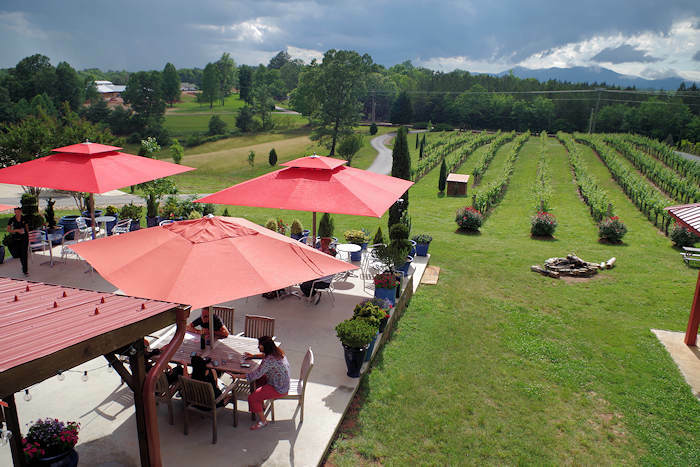 Unwind at the picturesque vineyards in the Tryon Foothills Wine Country near Columbus and Tryon. 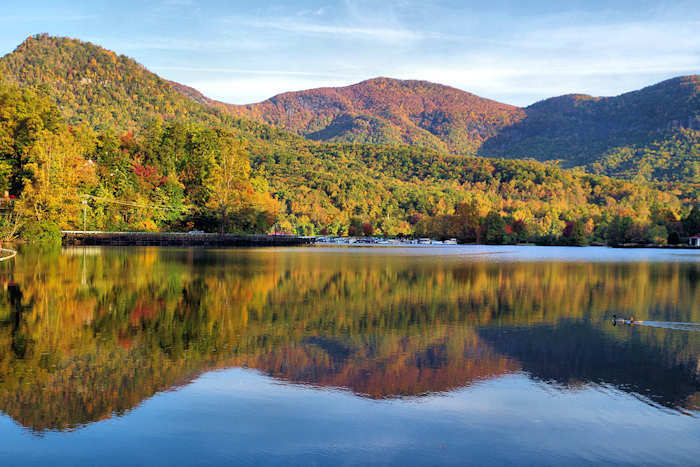 It's an easy 45-mile drive from Asheville via I-26 East. The rolling, rural countryside of eastern Polk County is home to fertile ground for grape growing. In fact, more than 20 vineyards dot the countryside along with five wineries open to visitors (the first vineyard arrived in 1890!). This area is called the "isothermal belt", located at the base of the Blue Ridge Mountain range. The mountains protect this area from harsh weather extremes and usually keep the area cooler in the summer and warmer in the winter. So it has the longest growing season in western North Carolina. See a Google Map below with all five wineries. 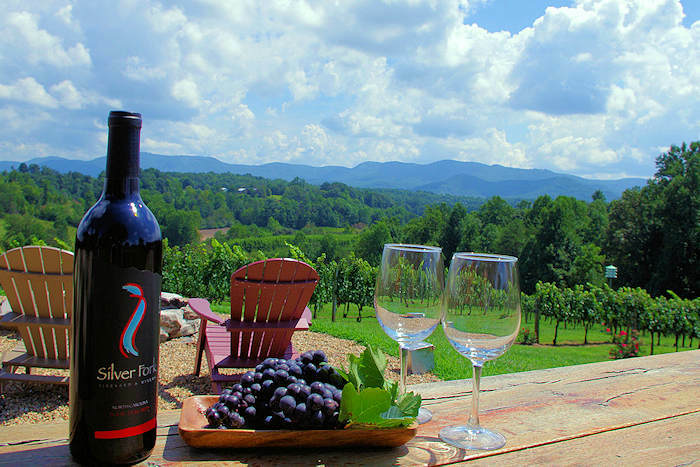 For more wine tasting, see our Top 15 Wineries near Asheville. 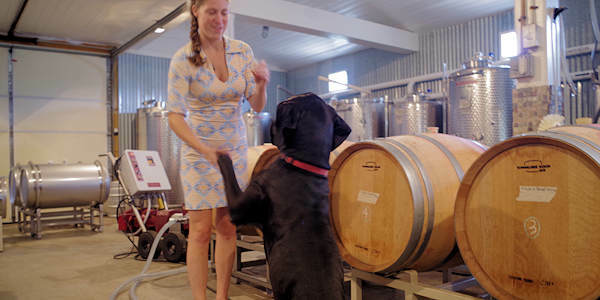 At Parker-Binns Vineyard, Winemaker & owner Karen Binns will guide you on a tasting of six wines. Stop by on a Sunday for complimentary brick oven pizza! 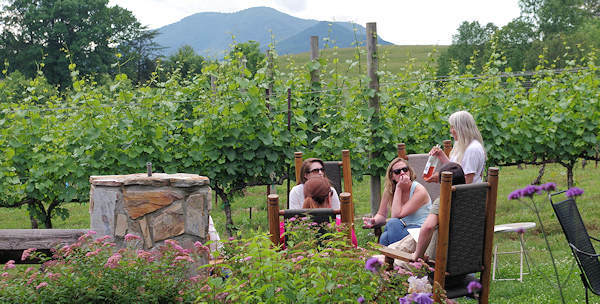 At Overmountain Vineyards, Asst Winemaker Sofia Lilly (along with her assistant Max) offers a fascinating guided tour of their artisanal winery with a special tasting ($35/person). Book this in advance. 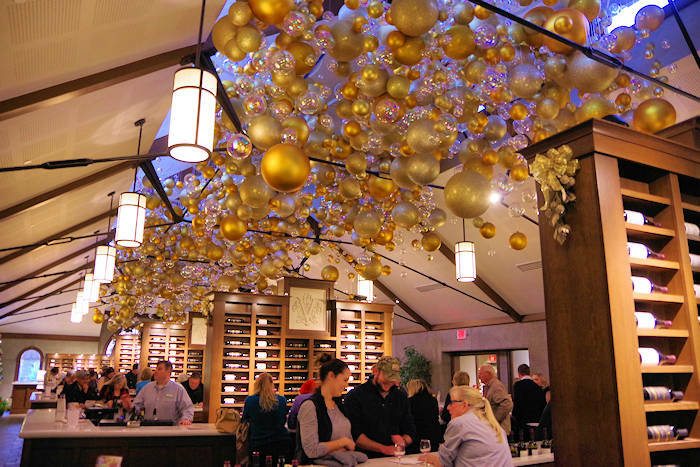 Their Tasting Room (photo at top of page) has a fantastic outdoor area overlooking the vineyard. Nearby is the new Tryon International Equestrian Center with many horse competitions that are free to attend. A great scenic drive is the road to the top of White Oak Mountain and right past Shunkawauken Falls. The unique House of Flags Museum (33 Gibson Street) displays 300+ flags with interesting stories for each. Read more about things to do below!